Developing effective biodegradable plastics had various obstacles and therefore was failed by many around the world. We successfully developed a bioplastic called ‘Plax’ that has improved performance in comparison to conventional petroleum-based plastics. Plax uses PLA as a base, a type of polyester that is biodegradable and produces less Greenhouse gases in the manufacturing process. 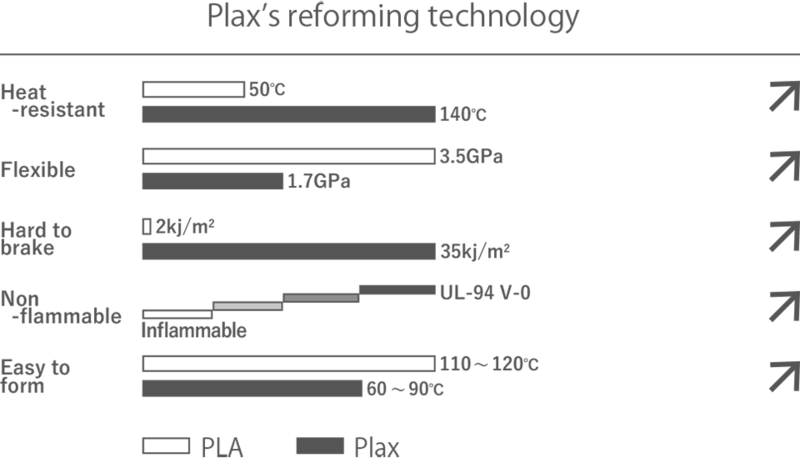 Plax, a 100% plant-derived material is highly functional in aspects such as production cost, heat resistance and flexibility. An environmentally low impact plastic has long been awaited for. Most plastics labeled as “bioplastics” or “biodegradable” in the past included petroleum-based or non-biodegradable materials. These labels were given even if it was not fully eco-friendly, as it needed to lower the cost and reinforce its low moldability of bioplastics and biodegradable plastics. 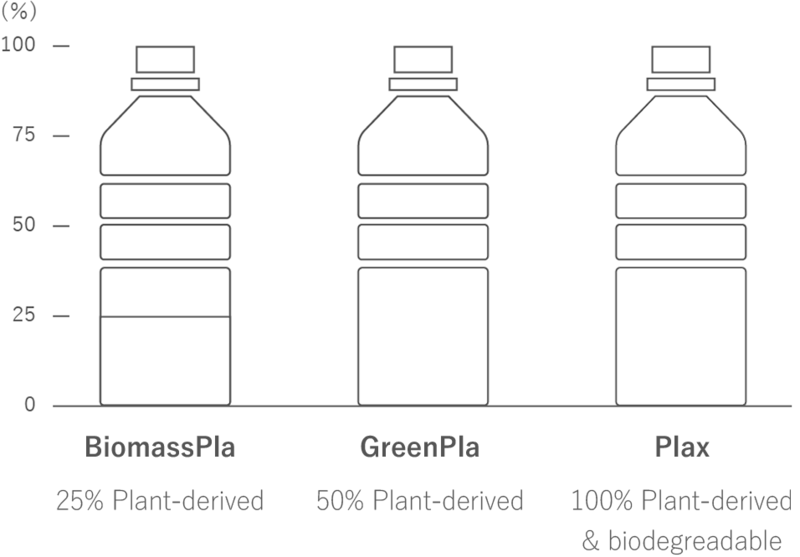 For being both 100% plant-based and biodegradable, Plax will be a game changer in the history of plastic. This additive is made from lactic acid like any other PLA. Though the molecule structure of a normal PLA is linear, altering the structure by adding a lactic acid-base additive can drastically change its property. For example, there is a change in the molecular mobility. The change in molecular mobility significantly improves the polylactic acid crystallization property and softness when the additive is mixed with PLA. As such, the additive is developed through the reconstruction of the molecules. Furthermore, we conduct reformulation with some existing agents in consideration of safety and product reliability as well as depending on the use. Succeeding in reducing the size of the crystal down to 1/1000 ~ 1/10000. Starting a revolution with 5% of our additive. Adding just 5% of the proprietary developed additive to the PLA base has proved to improve heat resistance, flexibility, shock resistance. PLA is a type of polyester that is derived from renewable resources, such as corn starch. It was developed as a resin to produce bioplastics that can replace petroleum-based plastic products. PLA was given attention for its biodegradability and the little carbon dioxide emission during manufacturing process. After use, Plax decomposes into water and carbon dioxide by heat and microorganisms. As the material is fully natural, it can return to the nature. After hydrolyzation takes place in an environment with the optimum temperature, humidity, and pH level, PLA can proceed to decompose into water and carbon dioxide by microorganisms in about a week.